In a world where Magic is illegal, Cassel Sharpe has the most deadly ability of all. With one touch, he can transform any object - including a person - into something else entirely. And that makes him a wanted man. The Feds are willing to forgive all his past crimes if he'll only leave his con artist family behind and go straight. But why does going straight feel so crooked? Time is running out, and all Cassel's magic and cleverness might not be enough to save him. With no easy answers and no one he can trust, love might be the most dangerous gamble of all. What a perfect ending to such a unique, well-executed series! 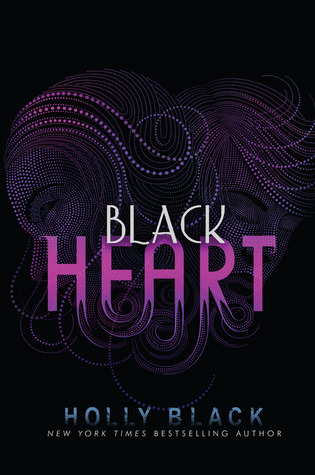 I could not be happier with Black Heart. Everything that I hoped would happen, happened. I so wanted Cassel to get a happily ever after, and he did, just not the exact way I was expecting. I love the way Holly Black brought everything together for the conclusion. 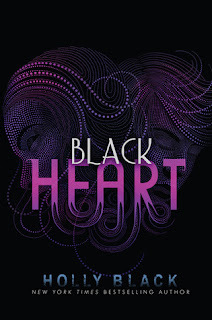 There was a lot of action in Black Heart, which I loved. I loved the way Black wrote Cassel. Usually, I don't love a male first person POV, but I really liked knowing everything Cassel was thinking and feeling. If you haven't read the Curse Workers series, I highly recommend it. It is so unlike anything else I've ever read. I loved the unique world and the characters continually surprised me. I can't wait to see what Holly Black comes up with next! I gotta get back to this series. is time to be happy. I've learn this put up and if I could I wish to counsel you some fascinating issues or advice. Maybe you could write next articles relating to this article. I wish to read more issues approximately it!